The Pacific Jack Crevalle is a species of large marine fish classified in the jack family Carangidae. 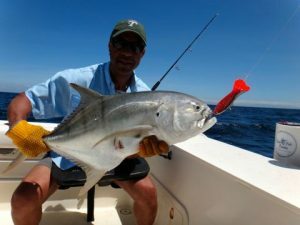 The species is distributed through the tropical waters of the eastern Pacific Ocean from California in the north to Peru in the south, including several offshore islands. 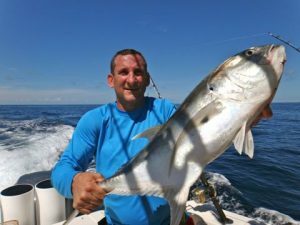 The species is best identified by its deep body and mostly unscaled breast, as well as other more detailed anatomical features. 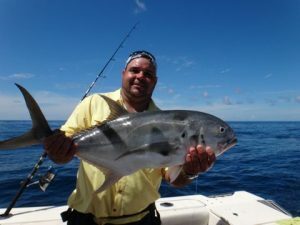 The Pacific Jack Crevalle is also a major target for anglers throughout its range, and can be taken by live bait as well as various lure types including surface poppers and fast retrieved metal slugs and spoons. 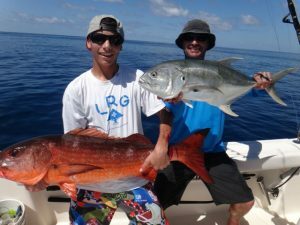 These species will put up a nice fight on light tackle and test your skills. 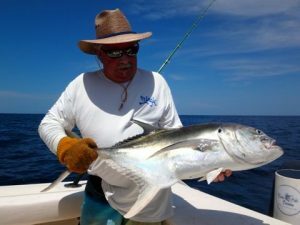 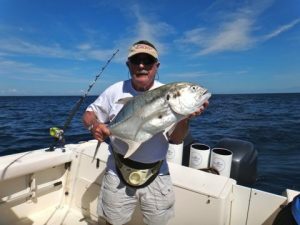 Want more Jack Crevalle Information?